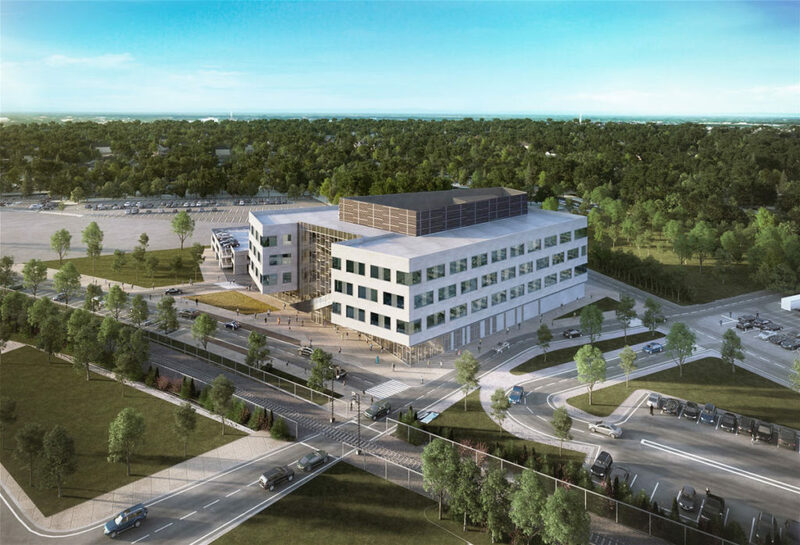 CLIFTON/NUTLEY, N.J., – A new chapter is unfolding at ON3with Prism Capital Partners’announcement of the first ground-up construction projects at the 116-acre campus spanning Clifton and Nutley. The planned new developments will add approximately 400,000 square feet of laboratory facilities, expanding the campus’ building footprint by approximately 35 percent. Additionally, Quest Diagnostics, the world’s leading provider of diagnostic information services, will break ground imminently for a flagship laboratory on a 12-acre parcel. The 250,000-square-foot, owner-occupied lab will become the largest in Quest’s network of 20-plus major laboratory facilities across the country, and will employ more than 1,100 people. The facility will incorporate innovative uses of building design and automated technology to provide a broad range of advanced diagnostic information services. Quest Diagnostics and future tenants of the spec lab building will join the growing hub of industry leaders in life sciences and biotech at ON3. In mid-2018, the new Hackensack-Meridian School of Medicine at Seton Hall University opened its doors at 123 Metro Boulevard. Seton Hall University’s Graduate College of Nursing and School of Health and Medical Sciences are located at 123 Metro Boulevard as well, and Hackensack Meridian is creating a National Institutes of Health-designated Clinical Research Center at the property. ON3 also serves as home to biofabrication company Modern Meadow, which moved into its laboratory at 111 Ideation Way in 2017. ON3 is positioned to set a benchmark in Walking Urbanism. Located just nine miles from Manhattan on Route 3, the mixed-use complex will integrate office and R&D facilities, recreational, hospitality and wellness options, among others. In addition to the brain trust of organizations in life sciences and biotech, ON3 is attracting high-profile companies from a range of sectors. Most recently, the Ralph Lauren Corporation signed a full-building lease. The iconic American lifestyle brand will move its New Jersey hub to 100 Metro Boulevard (supported by a $33 million Grow NJ grant). Prism’s campus infrastructure development continues to progress at ON3. Slated for completion next spring, Phase 2 of the infrastructure project is creating a robust roadway network that both allocates and integrates spaces on ON3’s west side, and enables the campus to be easily – and fully – traversed. Phase 1 of the infrastructure improvements focused on the addition and rebranding of streets on the east portion of the campus, the installation of new sewer and storm water systems, and electrical grid enhancements.